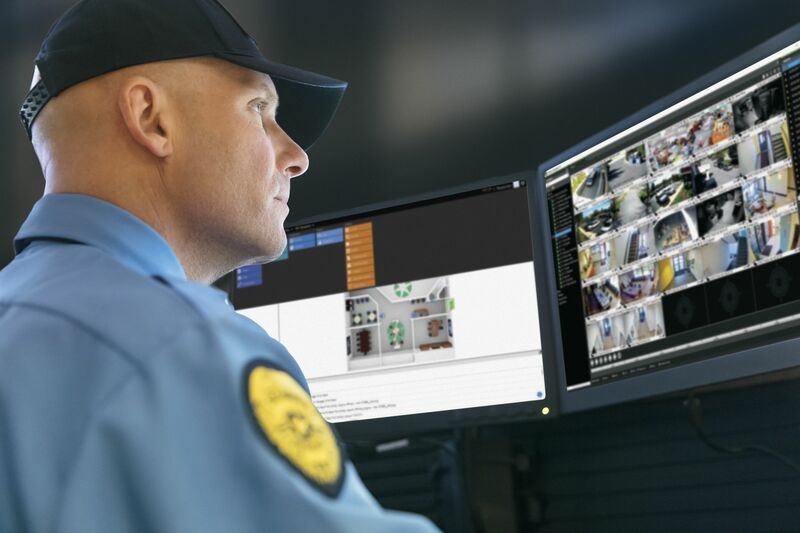 COSTA MESA, Calif. – April 4, 2019 – Interlogix, a global leader in security and life-safety solutions, introduces TruProtect – a flexible, intelligent, commercial security solution that unifies intrusion monitoring, access control and video surveillance into a robust, single platform. This new platform enables users to scale the solution from a few doors to large, multi-site operations that require customized integrations. Interlogix is a part of Carrier, a leading global provider of innovative heating, ventilating and air conditioning (HVAC), refrigeration, fire, security and building automation technologies. The solution’s modular “add-as-you-go” design enables users to cost effectively add capacity and functionality as required. Users can scale a system from a standalone intrusion panel to a fully networked security system spanning hundreds of locations. The TruProtect system supports a wide range of Interlogix TruVision® cameras and network video recorders and optional third-party solutions for video surveillance, access control, building management, building automation, biometrics, HVAC and lighting. The system’s flexible architecture and powerful integration of intrusion monitoring, access control and video surveillance enables reliable operations and provides actionable information that empowers users to quickly and efficiently respond to events. The TruProtect system is a great option for business applications including banking, education, retail, commercial property and much more. Preview the product by stopping by the Interlogix booth 18019 at the 2019 International Security Conference & Exposition (ISC West) from April 10-12 in Las Vegas. The TruProtect system will be available from certified Interlogix dealers throughout North America. For more information, visit www.interlogix.com/truprotect.